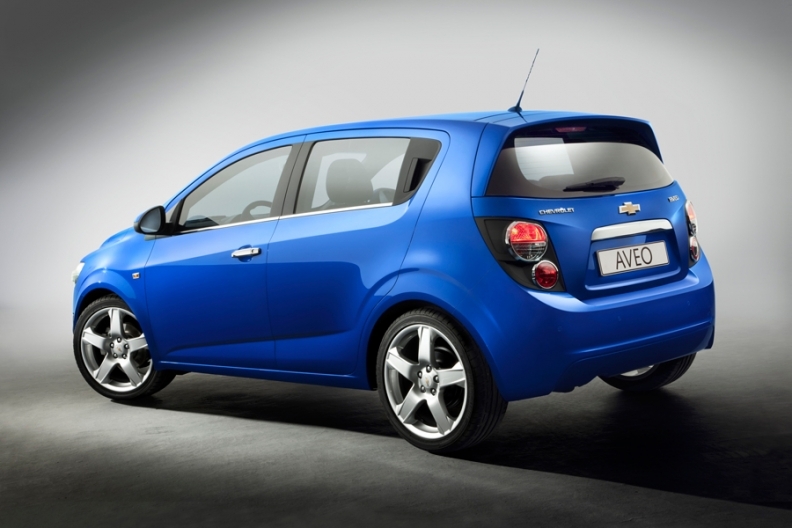 Will the Aveo name be dropped at Chevrolet? Maybe not. There's one big issue standing in the way: Chevrolet's global brand strategy. North American President Mark Reuss told reporters Thursday that the redesigned subcompact may carry a new name when North American sales begin next year. The reason? Reuss says there is confusion in the marketplace on how to pronounce the name. So this is a good time to drop “Aveo.” The car has been sold here since 2003. There's at least two other reasons for a name change. Although he didn't say it, probably 99 percent of the people in this country have never even heard of the Aveo. Sales are disappointing. There hasn't been much advertising support for the car. Additionally, the car has not been a standout among similarly-sized and priced cars. The next car will be a big improvement, I'm told. The Aveo – if that name is kept here -- will move away from economy-car status and offer a long list of standard equipment, such as air conditioning and heated outside mirrors. Ride and handling will emulate Volkswagen's small cars. The redesigned Aveo will be a little longer and wider. A four-door sedan and five-door hatchback will be offered, both assembled in Orion Township, Mich., and elsewhere in the world. Additionally, big improvements are planned in terms of NVH, fit and finish, etc., etc., etc. You get the picture --- it will be a much better car than the current generation. It's a different car that requires a different name. I would image Chevy's dealers support the name change, too. But here's the problem for General Motors' brass. A name change specifically for the North American market would fly in the face of Chevrolet's global strategy. I'll call it, “One Chevy.” As part of an effort to build up the Chevrolet brand globally, Chevrolet's cars carry the same name across the world. The Cruze name is used by Chevrolet around the globe. Spark, a new entry-level model that is smaller than the Aveo, goes on sale here in 2012. The car is currently sold outside North America as the Spark. The redesigned Aveo goes on sale globally next year. At least that was the plan, One Chevy, until now. Reuss' view makes perfect sense, drop the Aveo name in North America and adopt something new, a nameplate without baggage. But what about Chevrolet's global strategy? What about building sales with vehicles and nameplates recognizable across the world?